We would like to express our concern about the results of the National Scientific Qualification (Abilitazione Scientifica Nazionale) in Economic History (13 C/1). In particular, we are puzzled by the failure of a number of applicants with an outstanding track record to obtain the “qualification” (abilitazione) for Full Professor (professore prima fascia) or for Associate Professor (professore seconda fascia). These individuals are well known outside Italy for their publications, their conference and seminar presentations, their refereeing of papers for leading journals, and their collaboration in international research projects. For example, we refer to three extremely valuable colleagues, Mark Dincecco (University of Michigan), Alessandro Nuvolari (Sant’Anna School of Advanced Studies) and Giovanni Vecchi (University of Rome “Tor Vergata”), none of whom was awarded the qualification to Full Professor. It would be a terrible shame if these outcomes inhibited the full development of these scholars’ research agendas; economic history would be the poorer for it. Another troubling feature of these results is the fact that candidates with a very limited track record of research in terms of international publications have been awarded the qualification. This is not the direction in which Italian economic history should go if it wants to secure its rightful place at the research frontier in our field. the European Historical Economics Society. This letter by twelve distinguished economic historians does not need much comment. However, some additional information might be helpful for readers not used to the byzantine procedures of the Italian university. According to a 2010 law, professors are recruited in two distinct stages. In the first stage (Abilitazione Scientifica Nazionale), a national committee decides, on the basis of her publication record, whether a candidate is qualified (abilitato) to hold associate or full professor position in a given subject. The qualification does not guarantee a position, but it is necessary to apply for actual jobs, which the universities will advertise in the next four years. Afterwards, the qualification would expire. There are 186 committees for as many fields (settori concorsuali), including Economic History, which must assess also candidates for History of Economic Thought. The deadline for application was November 20, 2012 and 145 and 81 scholars applied respectively for associate and (full) professor (some of them applied for both positions). This transparency is highly praiseworthy, a welcome change from the bad habits of the past. The assessments show that the committee has denied the qualification to Nuvolari, Dincecco and Vecchi, at least officially, on a technicality. Its members have stated not to be able to distinguish the personal contribution of these three authors to the co-authored papers. This mention of the personal contribution to a joint paper may seem strange in the 21st century. Indeed, it follows an old tradition of the Italian concorsi (competitions) for university positions, which prescribed that the contribution of each author must be recognizable. In fact, authors still use to add in Italian books and articles odd-looking footnotes such as 'although the work is the outcome of a joint work, author X has written Section 1,3,5 while author Y has written section 2 and 4'. Needless to say, such statements would be absolutely unthinkable in an international journal. Indeed, other committees in Economics have had no qualm to assess joint works, paying lip service to the tradition with formulas such as 'we ascertain as much as possible the individual contribution of the candidate to joint works’ or ‘we are able to assess the individual contribution of the candidate’. The committee for Economic History (with one dissenting voice) has decided otherwise and has labelled ‘non valutabili’ (impossible to assess) all the joint work without an explicit statement of the contribution. Thus it assessed only 4 out of the 18 publications submitted by Nuvolari and found them insufficient for qualifying him. A quick look at the candidates’ CVs can buttress the second claim of the letter – that the committee has qualified some candidates with a “very limited” number of international publications. One can define these latter as articles in the list of A-rated journals suggested by the ANVUR, the official agency overseeing the Abilitazione, at an earlier stage of the procedure. The list (available at http://www.anvur.org/attachments/article/254/Area13_classeA.pdf) is not very selective. It includes nine Economic History journals (Journal of Economic History, Explorations in Economic History, Economic History Review, European Review of Economic History, Cliometrica, Australian Economic History Review, Financial History Review, Journal of Latin America and Iberian Economic History and Technology and Culture), three business history journals (Business History, Business History Review and Enterprise and Society), four journal of history of economic thought (European Journal of the History of Economic Thought, Journal of the History of Economic Thought, Journal of Economic methodology and History of Political Economy). Yet, as of November 2012, only thirty candidates to full professor out of 81 had published at least one paper in any of these journals or in any of the long list of economics journals. Only ten candidates, including the three above mentioned, have published four paper or more. The results do not change much if we use a less demanding standard, the number of publications (books, chapter of books and articles) in the Econlit database. Thirty candidates have not a single title in the data-base - i.e. have no ‘international publications’ at all. Eighteen of them have been qualified. In contrast, 5 out of the top 10 candidates in terms of Econlit publications (ranging from 18 to 35) have not qualified. As a result, the average number of publications in Econlit is slightly higher for not qualified (5.80) than for qualified (5.65). Both criteria would yield worse results if we concentrate on economic historians only. In fact, several specialists in the history of economic thought who applied are professional economists with a substantial publication record. Of course, the international impact is not the only yardstick for good work. Econlit might omit relevant work by Italian authors because it covers only very sketchily the Italian journals and publishing houses. However, if this is the case, it is arguably even worse. Any author who forfeits the opportunity of letting his work known outside the native borders not only damages his own standing but makes the international discourse poorer. The letter has been reported on 26 March in Corriere della Sera, one of the most important newspaper in Italy. Read it (in Italian) here. We are pleased to announce a conference in honour of Professor Jaime Reis who will retire in 2014. The conference is organized by the Social Sciences Institute, University of Lisbon and Nova School of Business and Economics, and will be held on 6 June 2014. 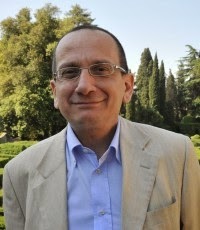 Jaime Reis is well-known for his contributions to Portuguese, European and International Economic History on a widespread range of topics that include studies on economic backwardness, on financial and banking history, on education and institutional developments, as well as on the determinants of long-term growth. These topics will be discussed in four panels with contributions from specialists in the fields and the public. All those who wish to attend are welcome to join. For further details, including recommendations for accommodation and dinner registration, please contact the convenors or Marta Castelo Branco (at marta.castelobranco@ics.ulisboa.pt). Much like the recent crisis, the U.S. Great Depression saw serious and widespread troubles among banks. Also like the recent crisis, the U.S. Great Depression was preceded by a large nationwide boom in real estate, peaking in 1926. Unlike in the current crisis, however, the interwar link - if any - between the real estate boom and the subsequent bank failures has been far from evident. An important argument against the existence of such a link has to do with the conservatism of mortgage contracts at the time. The average commercial bank mortgage contract had a maturity of only three to five years, and required a down payment of 50 per cent of the property value. This in theory would have significantly reduced both foreclosure risk and the negative consequences of foreclosures for banks. In this paper Natacha Postel-Vinay re-examines the question and uncovers the darker side of 1920s U.S. mortgage lending: the so-called “second mortgage system,” one of the most widespread and least well-known forms of debt dilution in the twentieth century. As a majority of borrowers in fact could not make a 50 per cent down payment, they took on a second, junior mortgage from another lender to help with the high down payment. As theory predicts, debt dilution, even in the presence of seniority rules, would have been highly detrimental to original lenders’ health, as it increases default risk on the original loan. In addition, second mortgages’ shorter maturity, higher interest rates and more frequent principal payments requirements created a seniority reversal effect which further impaired borrowers’ ability to repay first mortgages. Through foreclosure, banks would still be able to retrieve 50 per cent of the property value, but often after a protracted foreclosure process - a great impediment to bank survival in case of a liquidity crisis. Using newly-discovered archival documents and a newly-compiled dataset from 1934, this paper thus sheds new light on a financial phenomenon President Hoover then described as “the most backward segment of [the US's] whole credit system.” In today's world of “piggyback” mortgage lending and multi-party over-the-counter trading in credit-default swaps, this paper provides timely empirical support to the idea that debt dilution, or “sequential banking” can be highly detrimental to credit. 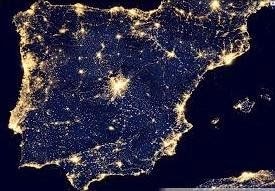 The distribution of economic activity in Spain by night. distribution of economic activity. According to this theoretical framework, when transport costs decline, production (mainly that characterised by increasing returns and imperfect competition) will tend to agglomerate in locations with a better access to demand. Hence, from a regional perspective, a rise in inequality may be expected to occur during the early stages of economic growth. To empirically test this prediction and others emanating from NEG models a sound measure of accessibility is needed. Economic historians have increasingly contributed on this topic seeking to explain a variety of experiences ranging from Victorian Britain to interwar Poland, the Habsburg Empire or the US at the turn of the 20th century. In this study, the focus is placed on Spain, a country characterised by large regional disparities still today. Here, accessibility for the Spanish provinces is calculated using the Harris market potential equation, an indicator with a long-standing tradition among geographers and economists. The period under study, going from 1867 to 1930, seems particularly relevant. 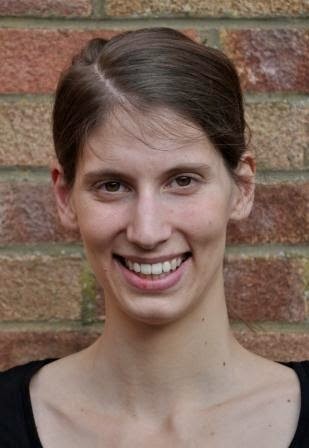 First, industrialisation was going through the early stages. In addition, transport costs fell significantly leading to an increasing integration of the domestic market. The gradual expansion of railways (with a radial design of the network) and the improvement in coastal shipping navigation with the transition from sail to steam had a notable impact on the decline of transport costs. This was particularly important in a mountainous country like Spain where roads where scarce and in a poor state of conservation and which lacked of navigable rivers. Finally, trade policy also underwent changes all across Europe (and indeed in Spain), especially during the interwar period, affecting the relevance of the domestic and external markets. As a result of this changing context, the relative accessibility of regions may have experienced an asymmetric impact which may have had consequences on the economic fortune of Spain’s provinces. The study finds that the main variations in the spatial distribution of market potential were experienced in the second half of the 19th century, a period characterised by a marked centrifugal tendency. By 1900, a clear distinction in terms of accessibility between coastal and inland provinces, with the former showing a higher market potential than their inland counterparts, had emerged. The only exception was Madrid, located at the geographical centre of the Peninsula but with a market potential similar to that of the coastal regions. Thus, with the integration of the domestic market, the geographical periphery of Spain had become the core in terms of economic potential, and, in turn, inland central provinces suffered an increase in their relative remoteness. Interestingly, once established, this dual structure showed a considerable degree of persistence during the first decades of the 20th century. These changes in market potential can be considered as being a factor that turned out to have persistent effects on the spatial distribution of economic activity in Spain. The period under study witnessed a notable increase in the concentration of manufacturing in a limited number of regions and an upswing of regional inequality. Overall, the availability of an indicator of accessibility like the market potential becomes a key tool for undertaking empirical exercises in order to further examine the roots of the current spatial disparities through the lens of NEG.